You need a certain amount of vitamin E each day for proper immune function, cell signaling and gene expression. This essential vitamin also acts as an antioxidant, limiting damage to your cells from substances called free radicals and potentially decreasing your risk for cancer and heart disease. Taking vitamin E supplements, however, may have some adverse effects, including increasing your risk for bruising. Damage to your blood vessels causes bruising. This is usually because of an injury, but certain conditions can make you bruise more easily, including thinning skin from certain medications or aging. High doses of vitamin E, however, could also be a cause of easy bruising, because vitamin E acts as a blood thinner and makes it harder for your blood to clot after an injury. Vitamin E can cause your blood vessels to open wider, and prevent blood platelets from sticking together to form a clot and stop bleeding. Avoid vitamin E supplements if you take ibuprofen, aspirin, diclofenac, heparin, enoxaparin, dalteparin or clopidogrel, all of which act as blood thinners. 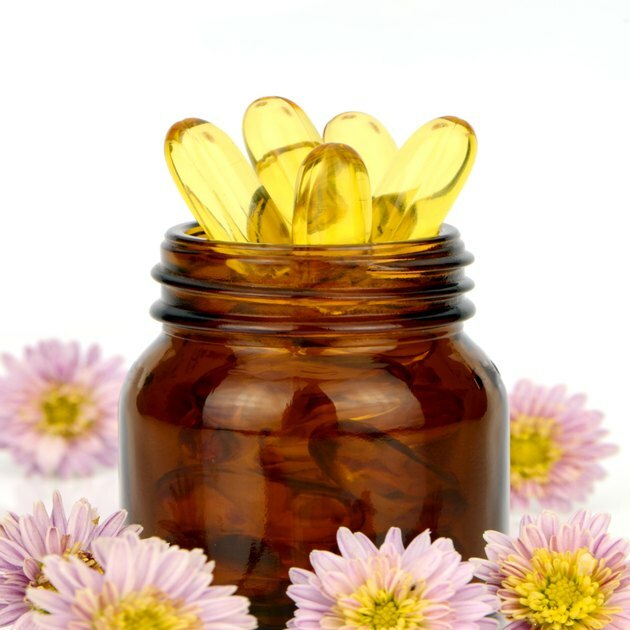 Small amounts of vitamin E are unlikely to cause interactions with blood-thinning medications and increase your risk for easy bleeding and bruising. But amounts above 400 international units per day may increase the blood-thinning effects of these medications and cause potentially dangerous effects, especially if you don't get enough vitamin K in your diet. Vitamin K has the opposite effect of vitamin E, improving the clotting of your blood rather than thinning it. The amount of vitamin E in food isn't likely to affect bruising. Supplemental vitamin E might, depending on the dose taken. Adults need just 15 milligrams, or 22.4 international units, per day, with the exception of breast-feeding women, who need 19 milligrams, or 28.4 international units. Some people take higher doses -- 400 to 800 international units per day-- in the hopes of preventing or treating certain health conditions. These high doses could increase your risk for easy bruising or bleeding. Don't take more than the tolerable upper intake level of vitamin E each day, which is 1,000 milligrams or 1,500 international units. If you take blood-thinning medications, your dosage could be too high and cause bruising even if you don't take vitamin E supplements. Likewise, aspirin or supplements you may be taking, such as ginkgo, policosanol or garlic, could cause your blood to thin and increase the risk of easy bruising. A less common reason for easy bruising could be a serious health problem like leukemia. Consult a doctor if you notice increased bruising when taking blood thinners or if you get severe bruising after minor injuries. Why Might You Feel Nauseous After Taking Vitamins? Is Taking Too Much Vitamin E Bad for You? Can Vitamin K Help Me to Stop Bruising Easily? What Are Side Effects of Vitamin B12 Tablets?